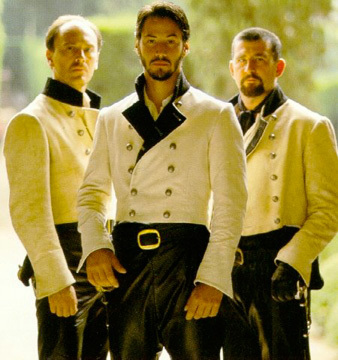 Okay, so we’ve established by now that Keanu Reeves is almost certainly the messiah. Or, at very least, that he plays one on TV (so to speak). But, well, does the guy have range? Saving humanity, alright, that’s pretty cool. But can he play, say, a sixteenth-century Sicilian rapscallion? For instance.